Got a few hours to kill with the kids, purse strings almost broken? Need some inspiration for some things that won't cost a cent? No problems, Melbourne's got you covered. Many will be covered on Weekendnotes in more depth, find something here you like, use the search tab at the top to see if there is an individual review on it for more information. I am endeavouring to only include items here that will be ongoing rather than one offs; feel free to add in your suggestions in the comments too. By day a market filled with hundreds of interesting stalls, sights and smells. During summer it in comes alive on Wednesday nights with a funky night Market. A walk along the river is always fun and great for the health, at the back of Federation Square is the terrific free playground Birrung Marr. The National Gallery of Victoria is always fun for kids, from the water feature at the front, to the flowing water windows, which the kids just can't help touching (I think NGV is pretty used to it, it's not just the kids that need to touch either). Many exhibits here are free, you can enter the Great Hall and lay on your back looking up at the coloured glass roof (my dad cut most of this glass and I still have some laying around the yard, its really pretty). When you've had enough there's a couple of cafes/restaurants and you can have high tea on certain days. A walk through the botanic green always brings things to look at, discuss and share. Over summer there's often live theatre performances scheduled and the kids will love the Ian Potter Children's Green. There is a flowing creek to paddle in and vegetable gardens to walk through and show the kids where food comes from and best of all, its all free. A relative newcomer to Melbourne, the Australian Centre for the Moving Image is a world of fun. There are exhibits to interact with and cheap films to watch. Parents can relax and rejuvenate from a day of city walking whilst the kids play, create claymation, take a workshop or watch a film (some fees apply for exhibits and films, however some exhibits are free). Who doesn't love a walk along the beach and the St Kilda Pier offers a fun boardwalk experience. The views of Luna Park, great cakes in Acland Street, funky op shops and on Sundays, the hand crafted beachside Market. Lovingly hand made sweets, you can watch as they are made, flavoured, coloured and hand pulled into fun creations with writing and images embedded within the sweets. As they complete each work, you can sample the offcuts for free, nothing better than sweet, still hot lollies, especially when they are free. 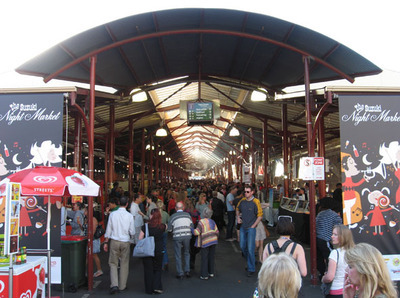 Suga is located in the Royal Arcade, Queen Victoria Market and the QV Centre - Melbourne. There are several paid tours you can join. However, you can take a free wander by yourself through the laneways of Melbourne looking at the funky cafes, street stalls and immerse in the huge variety of street art. As well as the Botanic Gardens, you can visit the Fairy Tree and Cooks Cottage (entry fee to Cooks Cottage apply) at the Victoria Gardens. The Citron Gardens are fun and many have free playgrounds and great picnic spots. Often over summer there are free pantomimes and shows for the children. Whilst the kids cannot enter the gambling section, at special times of the year, Crown Towers put on free hourly sound and light shows in the Atrium. The kids will enjoy walking along the riverbank or dining at the many cafes and by night there are the towers of flame to be amazed by. If you hold a concession card, free entry may apply to the Melbourne Museum, kids are now free at all times. Some exhibition fees may apply.